There are only seven Fridays left before Christmas…terrifying, I know! Christmas is a hectic time of year, even for the list-aholics amongst us. It can be tricky to keep track of customer orders and enquiries, as well as all the jobs we need to do for our own festive plans. Want to do some planning before things get too busy? Use this checklist as a starting point. The list covers many of the big and little things you can do to get ready for the additional orders that this time of year can bring. Print it out or note the main points down if you are a lover of the traditional pen and paper method or you can even pin it to keep it on hand! 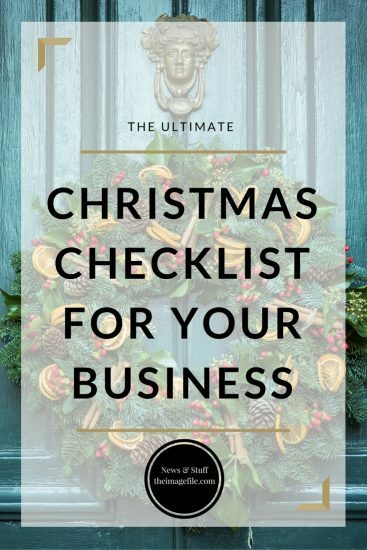 Now is the time to start preparing your business for Christmas – one seasonal task at a time. Mark your calendar with the all the major holiday days (e.g. 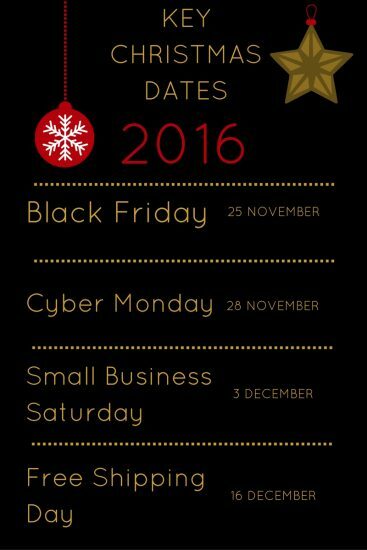 Christmas eve, Boxing Day etc) as well as the important shopping dates. You don’t want to miss them. Also, know when the last order dates are for the labs you are using as well as the traditional snail mail. Not sure when they are? All the closing dates for our partner labs and Royal Mail are listed here! Take note of the products, services and offers you are currently displaying, as well as any additional items you haven’t already listed. Does your business look solid? Are you happy with the appearance and copy? Now is the time to make final tweaks. Review your web pages and double check that your SEO is at the top of its game. Here are five tips if you need a little boost. Use keywords strategically. Rather than flooding your text areas with hundreds of keywords, which the search engines will consider spamming, try to use them strategically and with purpose. If words just aren’t your thing, let us know. For a small fee you could use our Wordsmith Service. Provide useful, high-quality content. One of the easiest ways of providing your customers with great content is to have a blog. If you haven’t already got one and still need some convincing check out our ‘5 Reasons Why You Need A Blog Right Now’ and then quickly and easily set one up by going to Control Panel > My Website > Create Web Page and click the page title “WordPress blog”. Improve your page loading speed by saving your images using the “save for web” tool in Photoshop or other image editing software. Titles and headings are great for search engine optimisation for two reasons. First, they are one of the easiest and quickest ways to give good formatting to your content. Second, search engines rate keywords found in titles and headings more heavily so get those important words in there. Giving good formatting to your content instantly improves readability and usability which means that your customers are more likely to stay on your site for longer and revisit your web pages which boosts your SEO ranking. If your portfolio is looking a little stale and you’ve been meaning to update it for ages, now is the time. Take an hour or two to revamp your collections and slideshows so that revisiting customers notice a difference. Making a few simple changes to your website graphics can transform your business. You can easily do this by downloading our Christmas page sets (if you haven’t already!) and using our Christmas social media downloads to brighten up your social platforms. There is even a small script you can add to show falling snow on your web pages if you’re that way inclined. At Christmas, everyone is actively looking for gifts so make sure you are offering products or services with gift appeal. Offer items that have a lower price point, a sentimental angle or have a broad appeal e.g. keyrings and fridge magnets, canvases or photo books or simply christmas cards and thank you notes. Now is the time to map out how you are going to promote your business over the Christmas season. Remember to spread your promotions over all your platforms including your website, email campaigns, social media platforms and blog. Plan out any promotions for Black Friday or Cyber Monday ahead of time. If you don’t know where to start, we’ve shared our 10 tips to ensure you have a successful Black Friday as well as some tips and tricks on Facebook, Google+ and Twitter. If you’re on Google+ or Twitter search the hashtag #TIFBlackFriday! The best way to stay on top of your seasonal to-dos is to actually schedule them into your day. Keep track of your process towards reaching your goals and how they are responded to by customers. This will be great for working out where your efforts paid off most for next year. 3 Marketing Tips To Gain Last Minute Christmas Shoppers Mother’s Day Page Sets 2017! 3 Easter Marketing Ideas For Small Businesses Christmas Page Sets 2017!